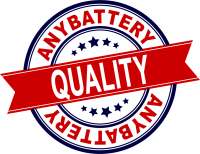 Anybattery Inc is committed to providing products and services that fully meet the requirements and expectations of our customers, in compliance to applicable national regulations and requirements, as described in our Quality Manual and quality management procedures. * Provide products and services of the highest possible standards, to satisfy our customer needs and expectations of quality, safety, reliability and service. * Continuously improve upon quality via regular evaluation of established quality objectives with respect to the adequacy of our resources, training, knowledge and skills and customer satisfaction. BBB has determined that Anybattery Inc. meets BBB accreditation standards, which include a commitment to make a good faith effort to resolve any consumer complaints.